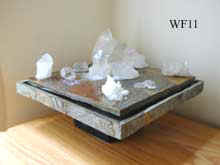 Feng Shui (pronounced fong shway) has been utilized for centuries by the Chinese to ensure that the energy flow within and around their environment is enhanced, creating auspicious “blessings” in life. Feng Shui has been called environmental acupuncture simply because we are working with the energy meridians around us and enhancing the Chi, or beneficial energy, flow within the environment. 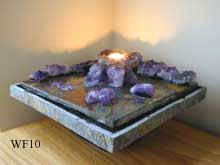 Feng Shui offers remedies or enhancements to rectify inauspicious situations. In the above mentioned situation, the remedy would be to use either a round leaf plant, a hanging crystal, a wind chime, or the colours blue or green (the wealth /blessings colours). If the individual chooses to use a round leaf pot plant, they could also place six or eight gold coins, wrapped in red, underneath the plant, to symbolize the growth of their money. It is not necessary, however, to use all these remedies together as it is up to the individual”s needs and personal aesthetics to choose what might be the most suitable enhancement for their environment.